Our domain expertise makes us capable of bringing forth an immaculate range of Cultivation Net for the patrons. 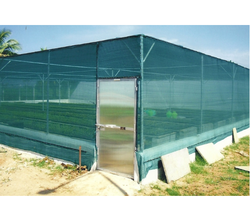 These shade nets ensure protection to the plants & crops from damages caused by wind & storm and direct sunlight. Cultivation nets also help in reducing the possibility of withering, as these are designed to maintain a controlled temperature. Looking for Cultivation Net ?